Once again it’s time to take a look at a few of last month’s most exciting bird sightings as suggested by our experts. This spectacular raptor is named for the elegant tail with which it steers as it gracefully soars in search of flying insects and other prey. The species nests in the extreme southeastern United States, where today there are only about a thousand breeding pairs. 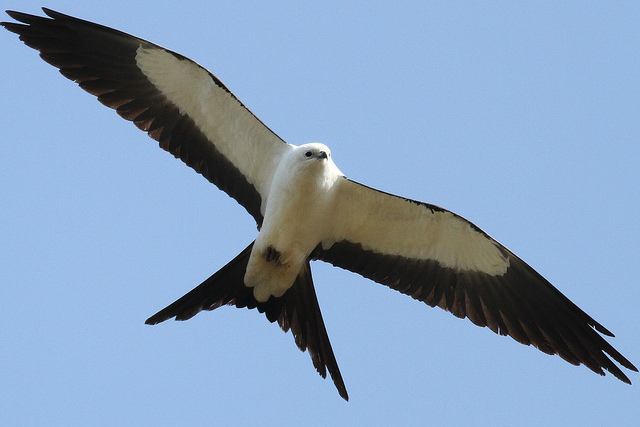 Seeing even one swallow-tailed kite in Massachusetts is cause for excitement. A sighting of four swallow-tailed kites flying together over North Truro last month was unprecedented. This bird is essentially the western version of the glossy ibis, a relatively uncommon wading bird that breeds along the east coast. The two species have a similar appearance, with rich burgundy and emerald feathers that shine with iridescence. 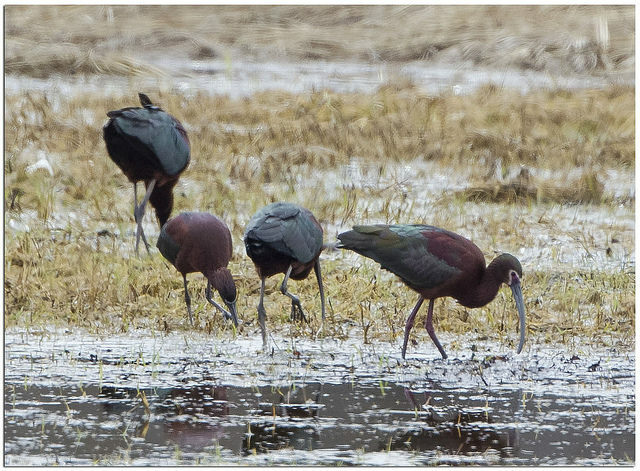 However, the white-faced ibis has red legs, red eyes, and a reddish face thinly bordered in white. One individual was seen amongst a flock of glossy ibises, first in Essex and then later at various other locations nearby. 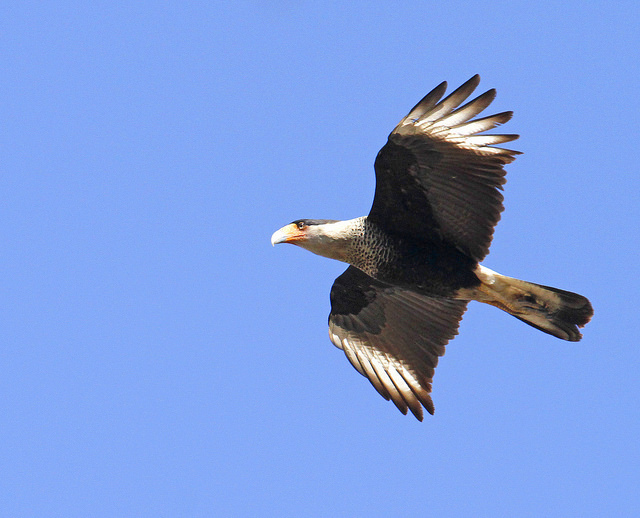 Although it belongs to the falcon family, the crested caracara has a face that is partially naked like a vulture’s, and also has the vulture-like habit of often feeding on dead animals. The national bird of Mexico, it is usually only found in parts of Florida, Texas, and Arizona. Birders can only speculate about the origins of an individual photographed in flight over Chatham last month. Though it is a long-legged shorebird, the Wilson’s phalarope swims in open water, where it is sometimes seen spinning in circles to create a whirlpool that draws its invertebrate prey to the surface. 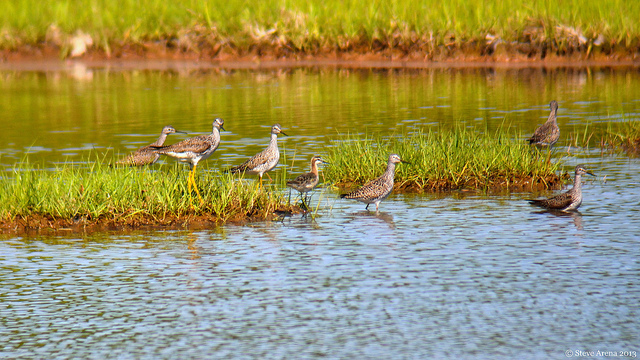 Unusually, female phalaropes are more colorful than males. 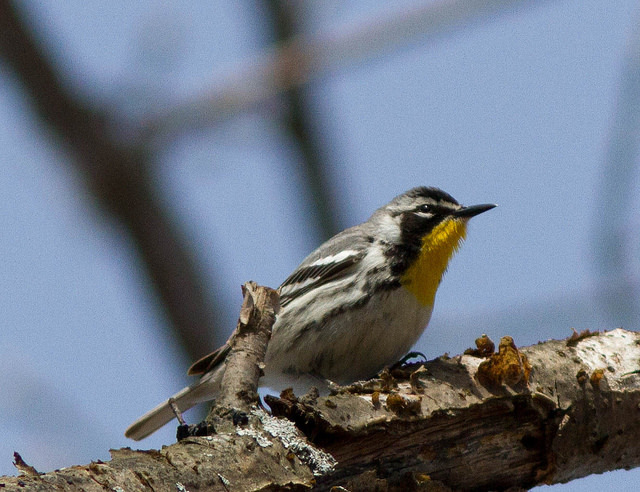 This species breeds in the northern US and southern Canada and migrates across the western part of the country. Two individuals seen in Rowley were at one of the locations where this species regularly pops up in Massachusetts. This year’s spring influx of warblers is only just beginning, but in April one warbler in Carlisle managed to draw birders from quite a distance. This bird primarily breeds in the southeastern US, often preferring to nest in bald cypress swamps. Like a number of other species, it appears to be expanding its range northward. Hopefully this will translate into more frequent sightings in the future. This entry was posted in Nature Notes and tagged bird sightings on May 7, 2015 by Rosemary. The Falcon is an amazing bird. I like the days I’m lucky enough to see them in my town.